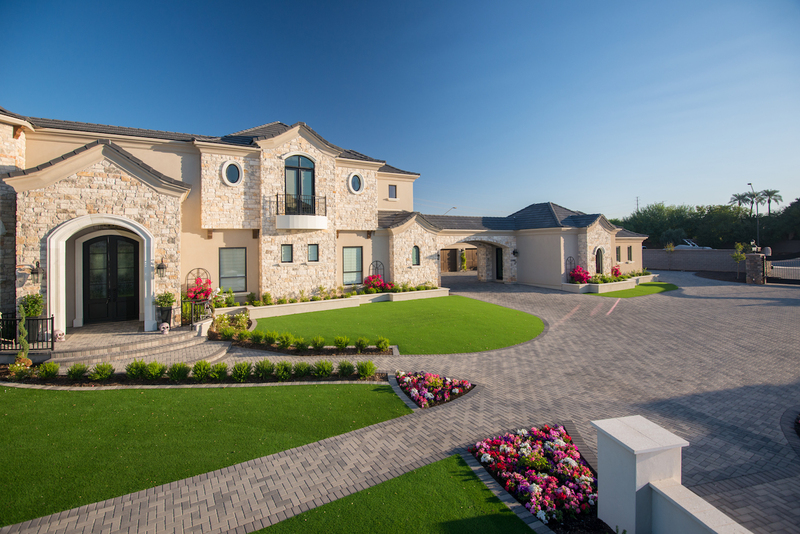 We have set the standard for production homebuilders for over 10 years. 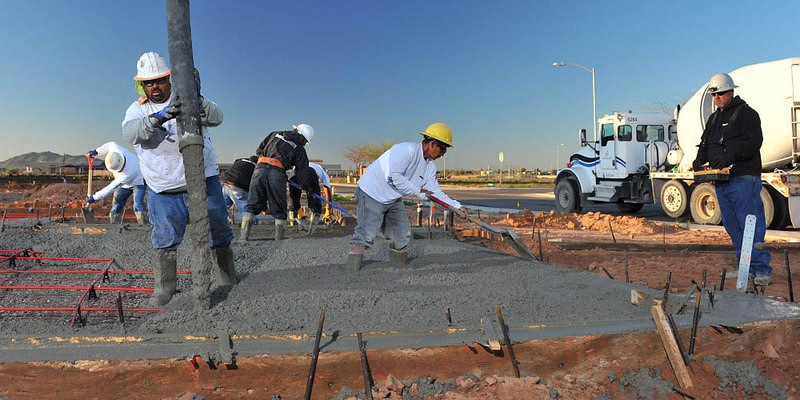 Wallcon is Arizona’s premier contractor for production homebuilders because of its turn-key approach. Servicing both the Phoenix & Tucson markets Wallcon specializes in post tension slabs. 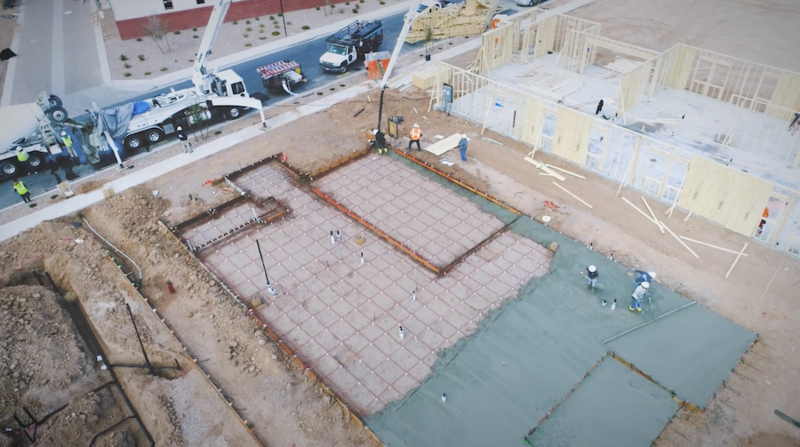 Proven to be a superior foundation design for much of Arizona’s soil conditions, high-strength tensioned steel cables compress the concrete reducing slab movement. 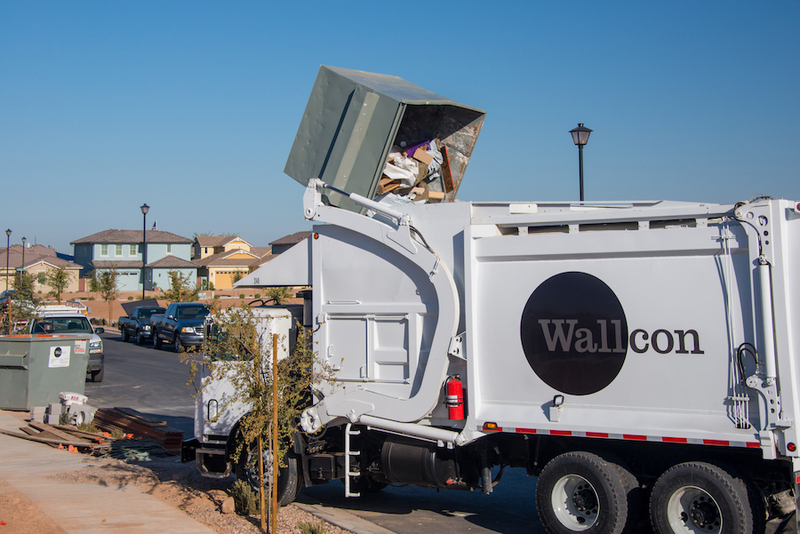 Wallcon performs its own grading, material hauling, and concrete pumping further assuring a timely schedule. 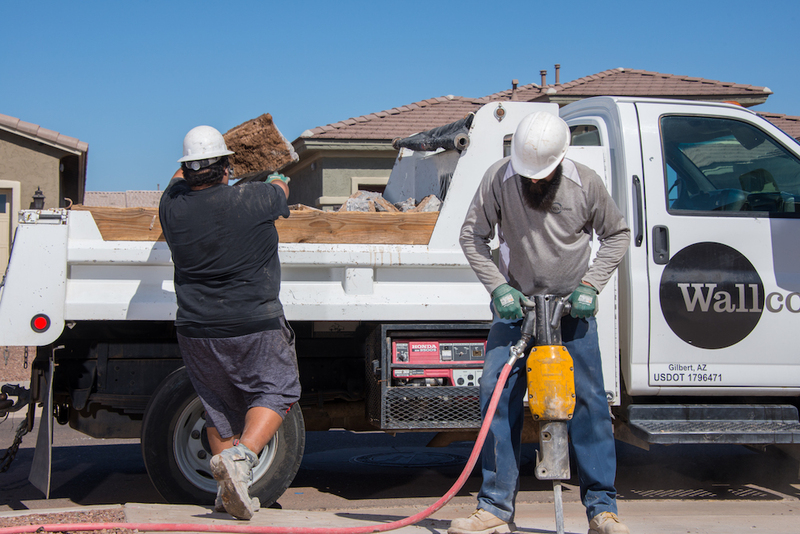 Construction waste consists of any material on a jobsite that requires special handling to properly dispose of it. 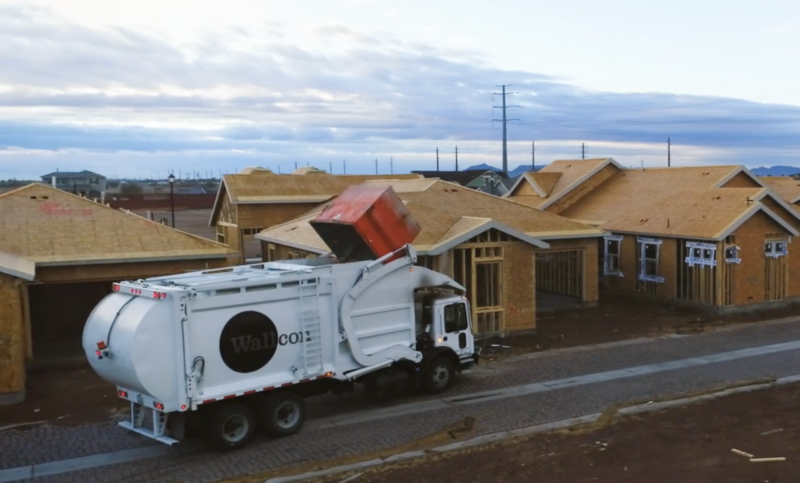 Wallcon has over 2,000 cans Valley-wide to dispose of construction materials safely while maintaining a clean and safe job site. The grading process takes place in two stages. Immediately after the foundation slab is poured a rough grade is done around the foundation. 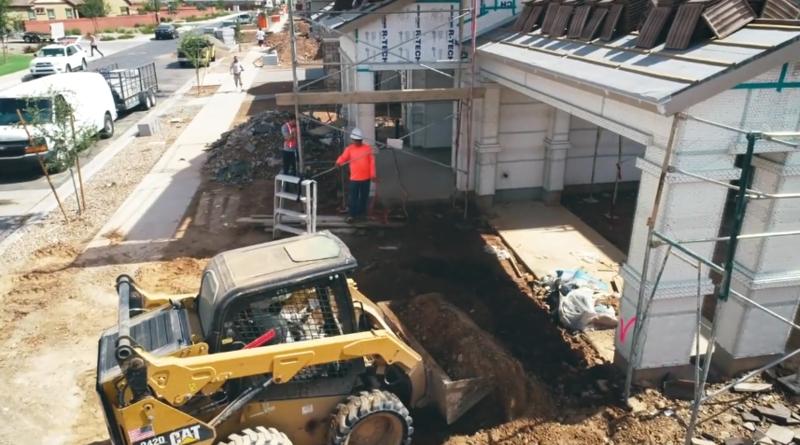 Once the house is nearing completion a final grade is performed. 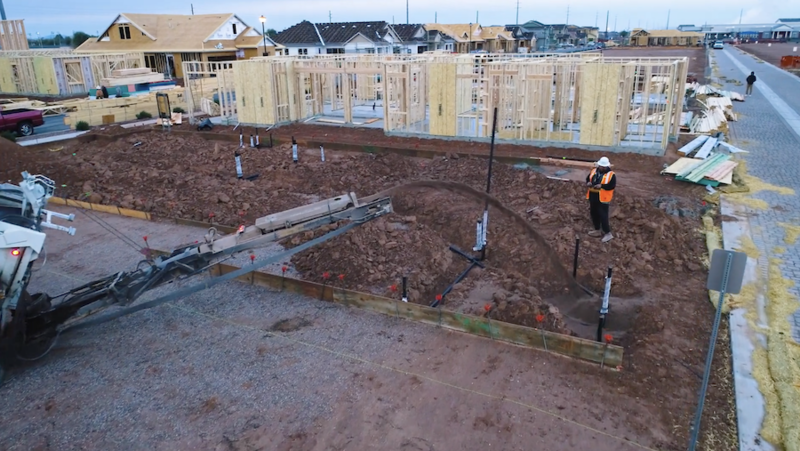 These grades assure that there is both positive drainage away from the foundation as well as the lot is graded to drain. 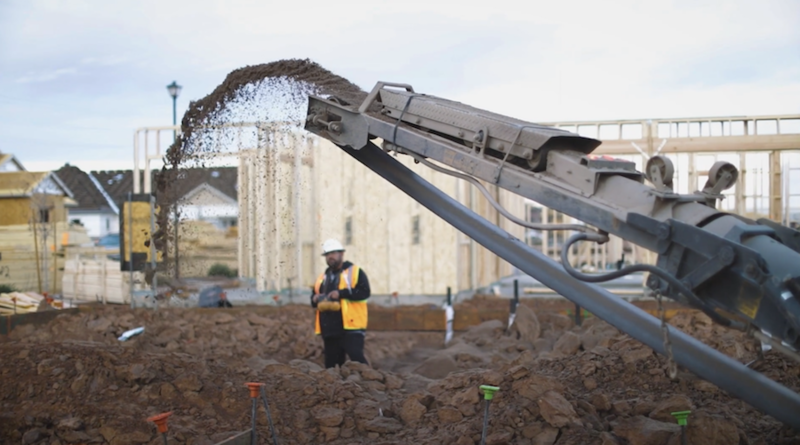 Whether you need grading with or without foundations, we are happy to perform the work for your project. 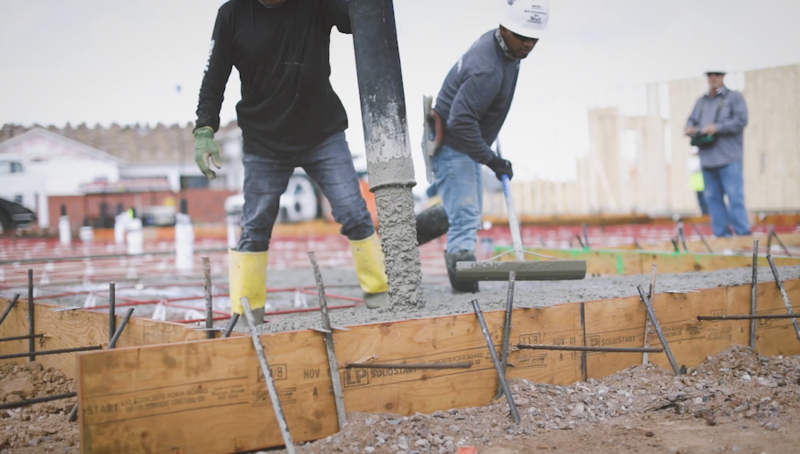 Builders have recognized that when Wallcon does both the foundation slabs and grading the process becomes more seamless. 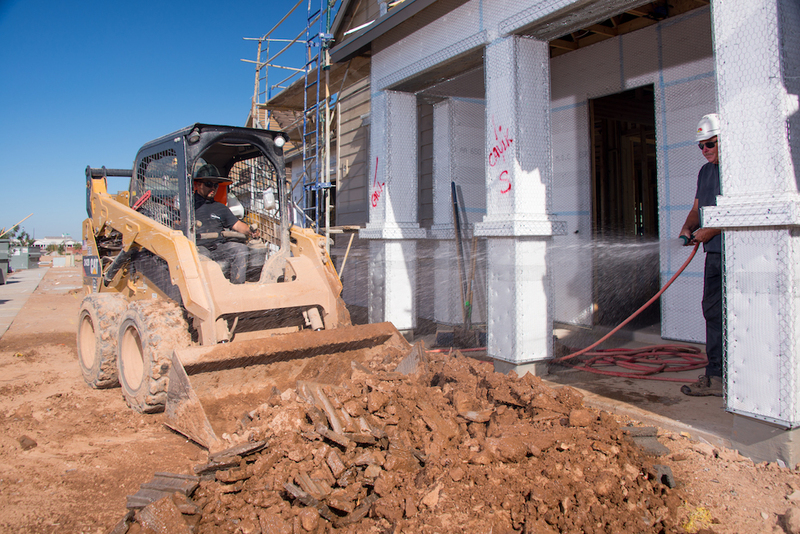 Due to soils conditions, many home sites require shading of the underground plumbing to protect from damaging pipes at backfill. 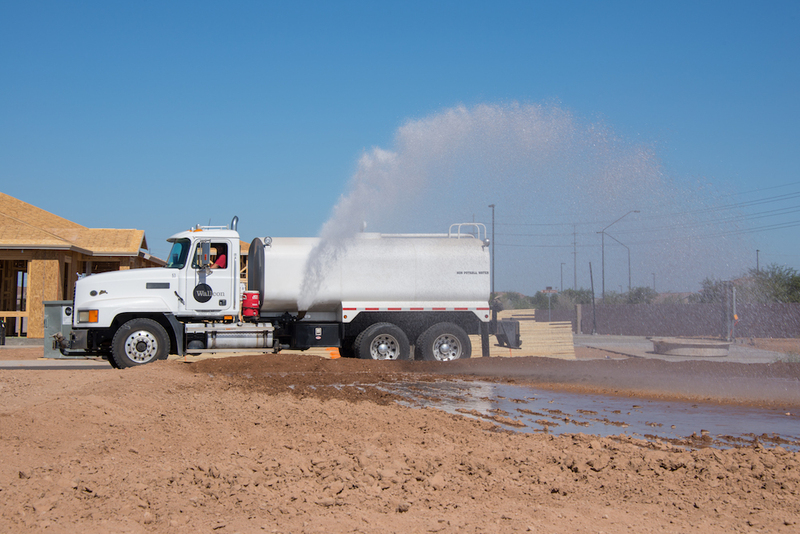 This process involves spreading shade material over the pipes. On occasion bedding material is required in the plumbing trench before the underground plumbing is installed. Wallcon has the equipment to get the job done. Unfortunately when building new homes, city walks, curbs, & gutters can be damaged from trades needing access onto the lot. 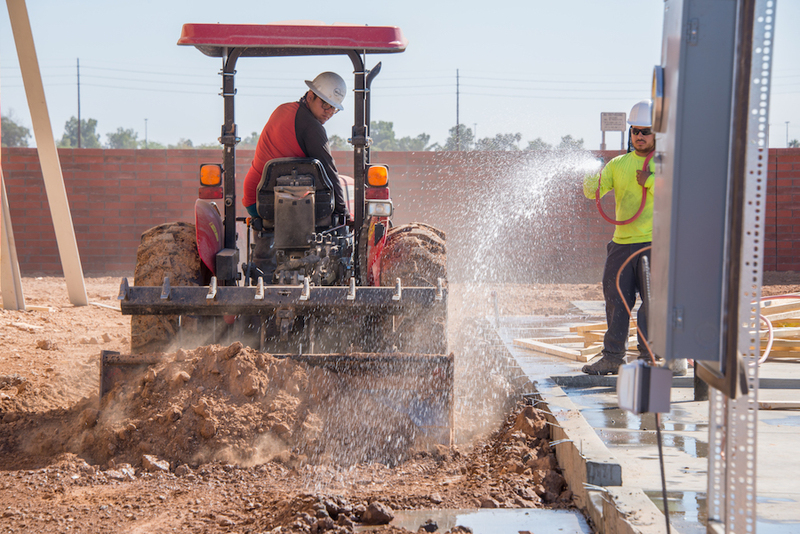 Being one of Arizona’s largest R&R contractors, the Wallcon team can easily remove and replace concrete in response to these situations. 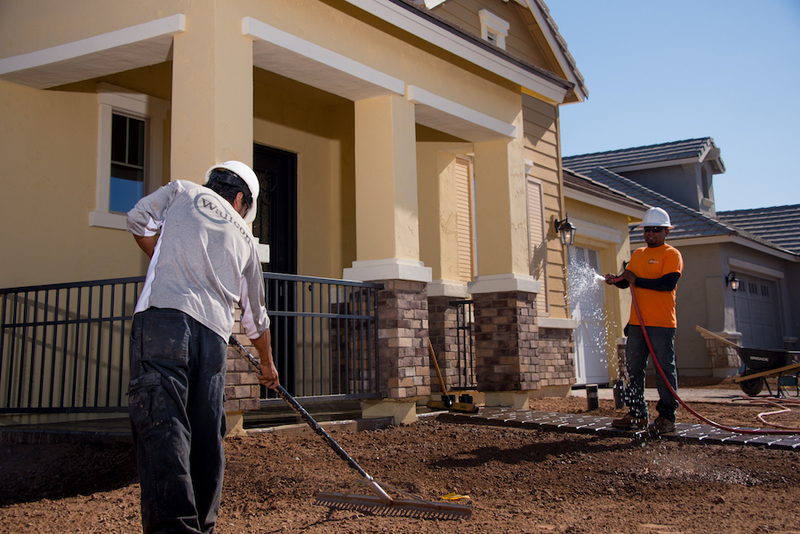 Pavers can increase the curb appeal of your new home. Concrete pavers resist fading from sun exposure, harsh weather and wear, and can stand the test of time. 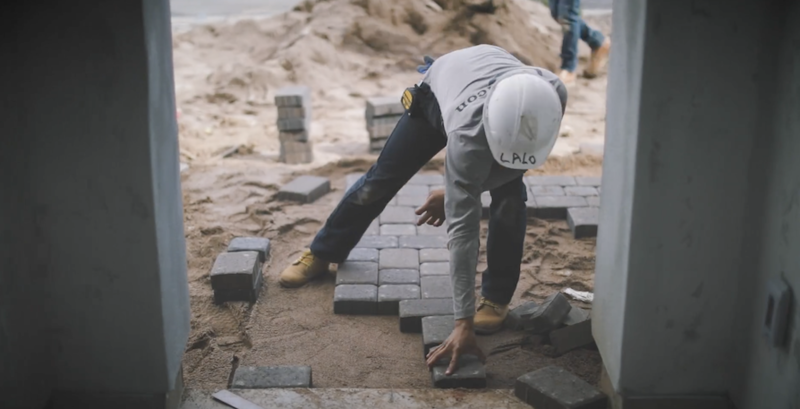 Stronger than poured concrete and uniquely beautiful, pavers will maximize your budget’s potential. In addition to longevity and increased home value, concrete pavers are available in many versatile options to meet your style. 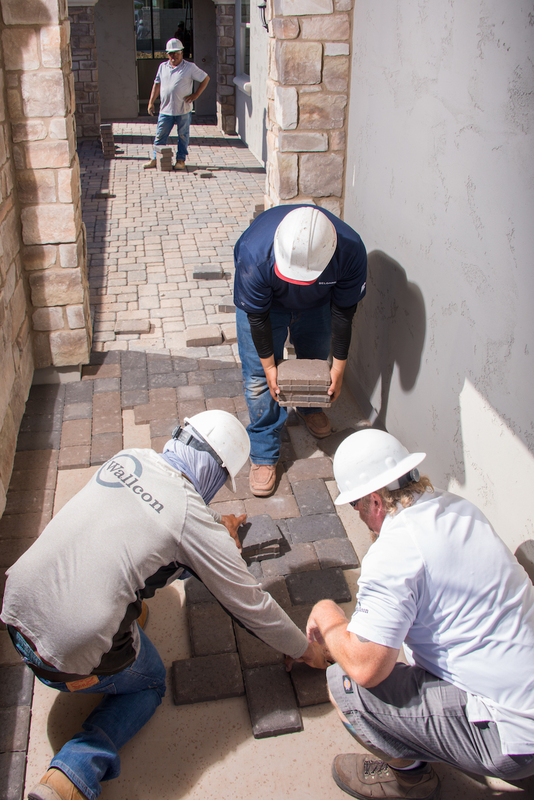 Wallcon installs pavers on thousands of homes each year.